This month ASEF culture360 contributor David Fernandez introduces Bangkok's newly dubbed ‘Creative District’, an urban riverside area comprising two distinctive neighbourhoods, Bangrak and Klongsan, previously associated with slow and traditional river life that are currently going through a promising creative revival. Up until a few years ago, Bangkokians would have given the Bangrak-Klongsan section of the Chao Phraya River a wide berth, except for the fact that it had always been a major urban transportation artery for cross-river commuters with a vast network of river buses, ferries and water taxis. Bordered by the river, nestled closed to Taksin Bridge on the South side of the Chao Phraya, this flourishing district is a rich and jumbled urbanscape where traditional architecture sit next to modern buildings, and various communities – Chinese, Christian, Muslim and Thai- cohabit with their rooted cultural background and their customs and contrasts, adding also intangible value to the distinct district atmosphere. Much of the now deemed ‘Creative District’ life is centered around Charoenkrung and Charoen Nakhon Road, which are linked by busy Taskin Bridge. 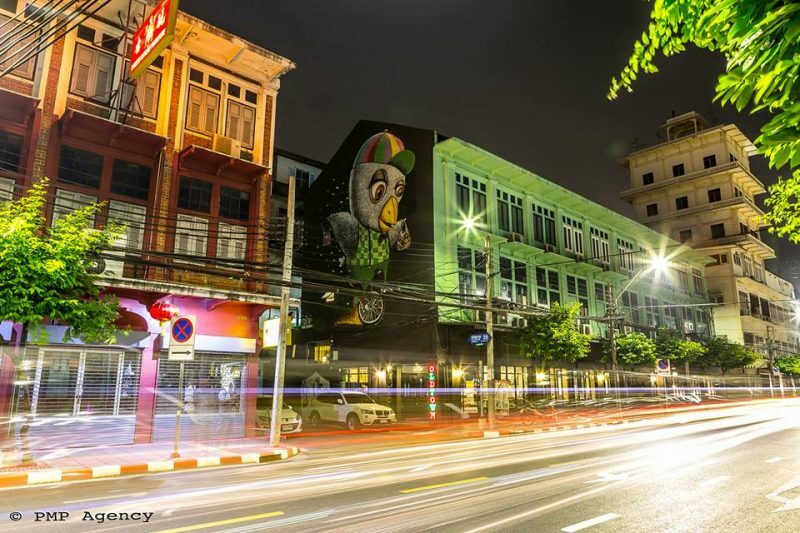 Especially around Charoenkrung Road, once an international trading hub with valuable history and the first paved road in the city, today it is easy to spot artisans workshops and old-styled jewelry and antique shops right next to design studios, art galleries, cool boutique hotels, hip bars and eateries. 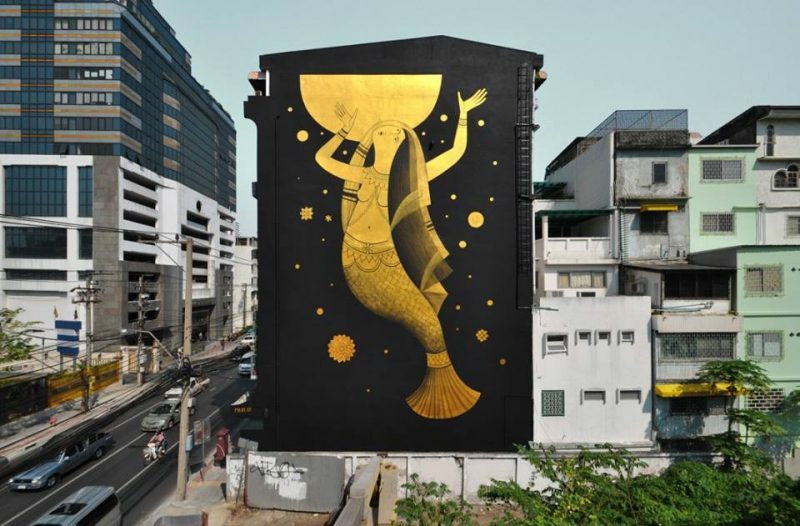 In recent years both shores have seen a constant addition in the number of artists, designers, makers and entrepreneurs moving in the area and plenty of creative spaces opening up especially along Charoenkrung, such as Bridge, Serindia Gallery, ATTA Gallery, P.Tendercool, Speedy Grandma, MoST, Soy Sauce Factory, just to name few exponents of the ‘new’ old town. Walking upstream towards Talad Noi, skimming the edges of Bangrak, a groundbreaking cluster has organically emerged in Soi Nana. 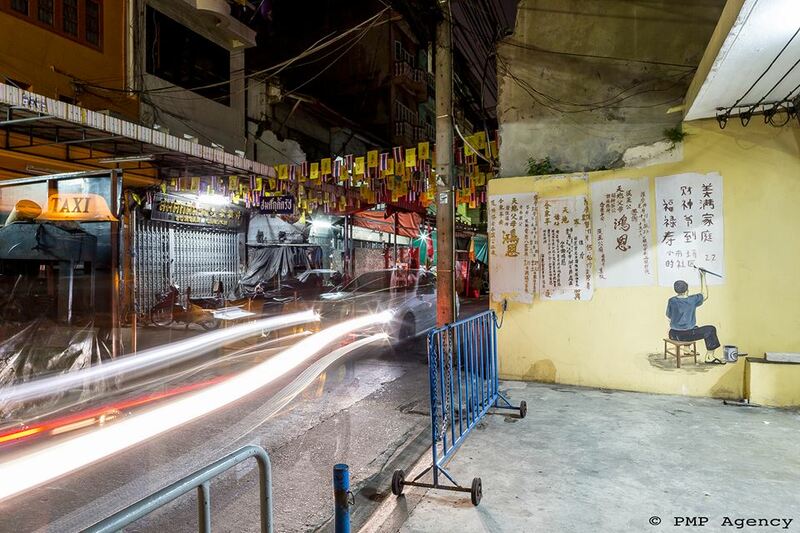 Once a quiet residential street, nowadays it hosts a variety of galleries, studios and artist-run spaces including Cho Why, NACC, Patani and Project 189. Meanwhile in the other bank venues like the now defunct spearhead The Space and, most recently, The Jam Factory have paved the way for newcomers to join the current creative uprising around Klongsan. 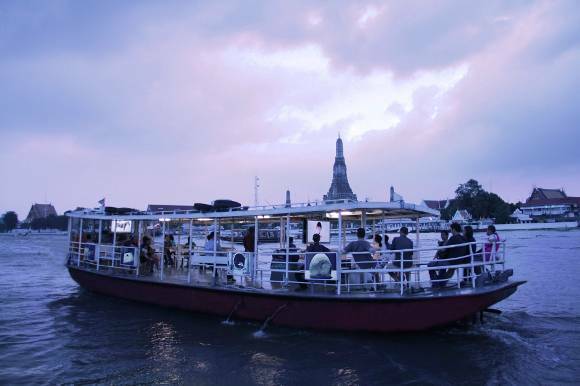 Ultimately, connecting both banks is a pioneering video art project, The Ferry Gallery, a floating contemporary art space operating on the Chao Phraya River. A trend that’s is clearly gaining visibility with recent events taking place in the burgeoning area. For instance the international street art festival that took place earlier this year, Buk Ruk, or the ongoing bi-monthly The Creative District Gallery Hopping Night, a joint activity presenting the emerging network of venues and artists-run spaces that it’s been formed with the intention of bringing awareness to the local arts while inspiring new collaborations and cultural exchanges. Riding the wave of urban regeneration, public institutions and other private enterprises such as the Bangkok River Partners are rapidly realizing that the emergence of the so-called Creative District and the century-old community around the Bangrak-Klongsan area conforms a highly valuable opportunity, capable of generating social and economic shared value among the community and surrounding areas as well as extending the competitive capacity of the local creative industries. Clear signals of the transformation and development of this section of the old town into a burgeoning creative arena are noticeable, especially after the announcement of the much-anticipated arrival of the Thailand Creative and Design Centre (TCDC), the flagship of the ‘Creative Thailand’ public campaign, expected to finally relocate early 2017 into the Grand Postal Building, the first postal office in Thailand, a splendid example of brutalist architecture located right in the middle of Charoenkrung Road. With its arrival TCDC is expected to rekindle the spark of creativity and design among the local community while attracting the local crowds. In order to level the area before its resettlement into the old part of town, TCDC have recently launched a project called Co-Create Charoenkrung, in collaboration with the Office of Knowledge Management (OKMD) and Thai Health Promotion Foundation (ThaiHealth). Together, they are aiming to conceptualize a creative district prototype for Charoenkrung with contributions for every sector in the district through the process of discovering opportunities, raising issues and developing concepts by stimulating the exchange of ideas among the local urban community. Furthermore, promoting this new creative approach alongside TCDC is the recently established Creative District Foundation, a joint committee formed by both private and public agents, including entrepreneurs, universities, government bodies, developers, business owners, local artists and artisans and other organisations in the area. Its main objective is to preserve the riverside heritage while attracting Bangkok’s creative entrepreneurs and aiming to eventually impact the wider business landscape. Since its establishment, the foundation has focused identifying local infrastructures and valuing hidden assets in order to come up with a vast array of specific initiatives to turn the district into a reality in the next decade. This would mean improving the general quality of life, strengthening the social bonds and contributing to the tourist and entertainment sectors mainly by fostering historical preservation, environment and sustainable development, urban design and public art. 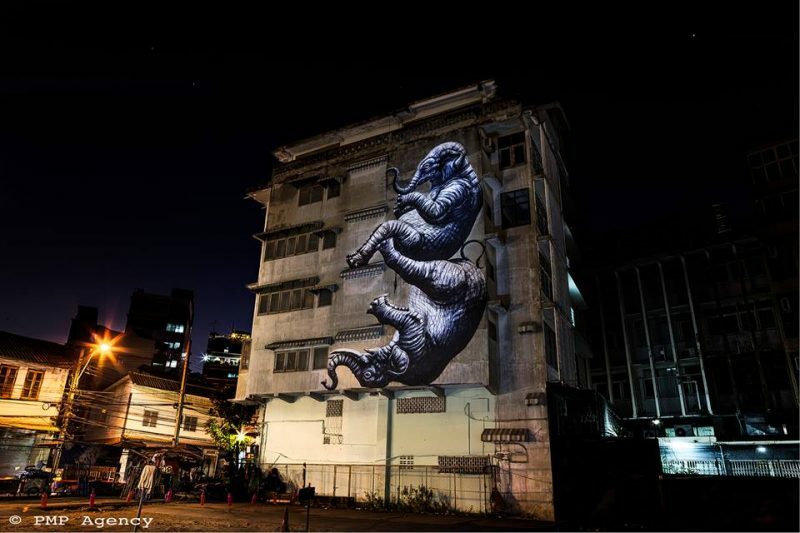 All these promising efforts illustrate a neighbourhood that is surely going through a creative revival. 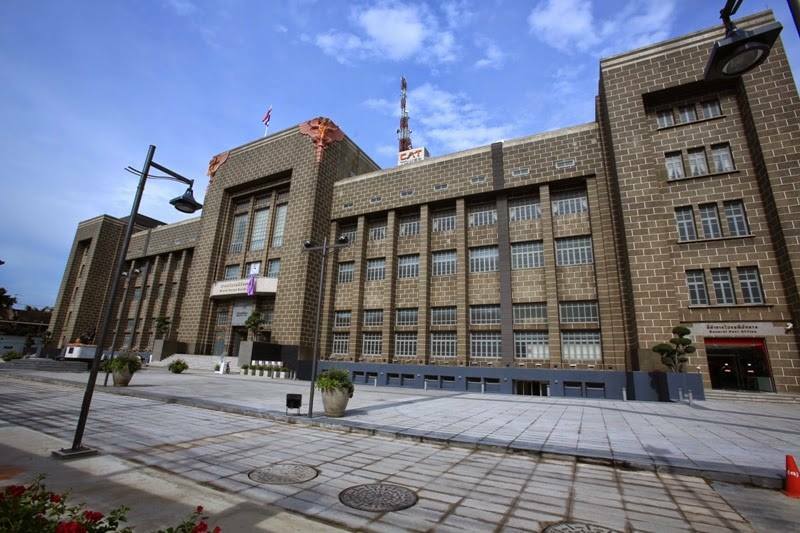 At the same time, it is undergoing a profound urban renewal trustingly by putting creative culture, heritage preservation, public art & green design into city-making.